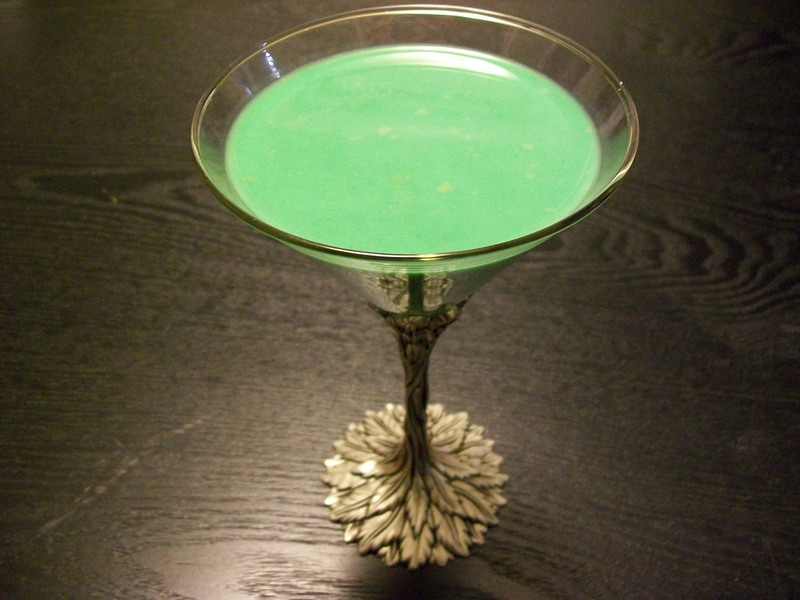 The very first mixed drink I ever had was the Grasshopper. I remember it was the mid-nineties at a co-worker’s daughter’s wedding. Another co-worker happened to order the drink, and its unusual green color captivated me. I asked what it was and then ordered one. Ever since, I’ve tried dozens–all right maybe a hundred or so–mixed drinks. A quick internet search informs me that this drink originated in the 1950s at Tujague’s, a landmark bar in New Orleans’ French Quarter. What you’ll need: Crème de Menthe, Crème de Cacao, and cream. Measure equal portions of each ingredient and pour them into a shaker over cracked ice. Shake briskly and then strain into a cocktail glass. How I like it: Exactly as above. However, I often don’t have Crème de Cacao on hand and so the drink pictured instead contains Godiva Chocolate Cream liqueur. For the uninitiated, Crème de Cacao is a chocolate-flavored liqueur, but Godiva is just so much more decadent. I didn’t use one, but you could use a Peppermint Patty as a garnish. Just slide it onto the edge of the glass. This mint chocolate cocktail favorite is great for accompanying dessert, as a dessert, or even a nightcap. Do give one a try.